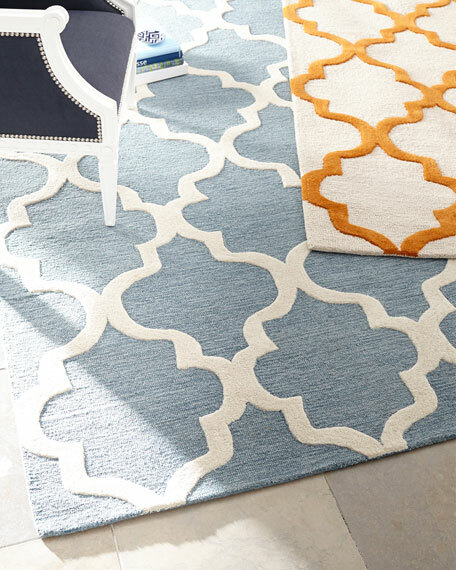 Geo Medallion Rug, 3'6" x 5'6"
High/low construction for dimension and softness. 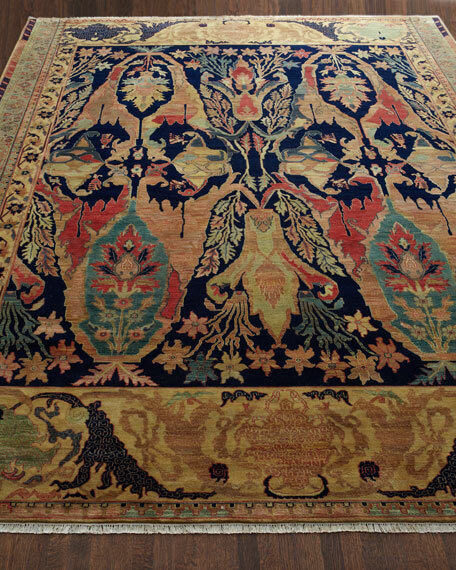 Hand-tufted rug.All rugs have a "light" side and a "dark" side, depending on the viewing angle. 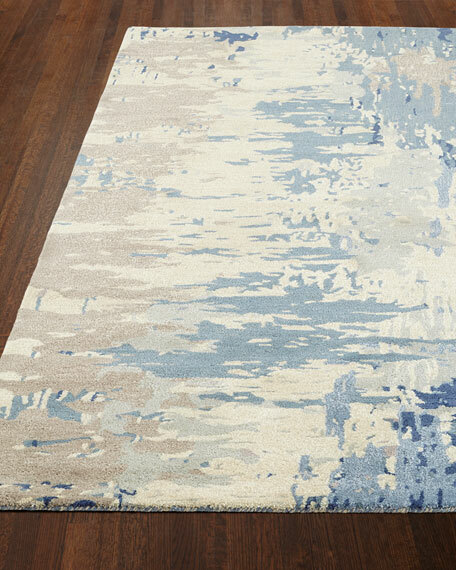 The photos at left show this rug from both sides.Low pile; hard-twist texture.Wool with viscose accents.Cotton-canvas backing.Size is approximate.Imported. 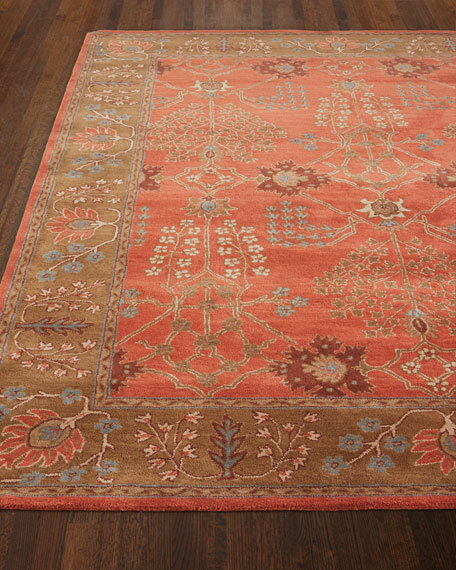 Rug is hand knotted by expert Indian weavers and hand trimmed. Vegetable-dyed wool pile on a cotton foundation for durability. Intended for foot traffic. Size is approximate.Imported. 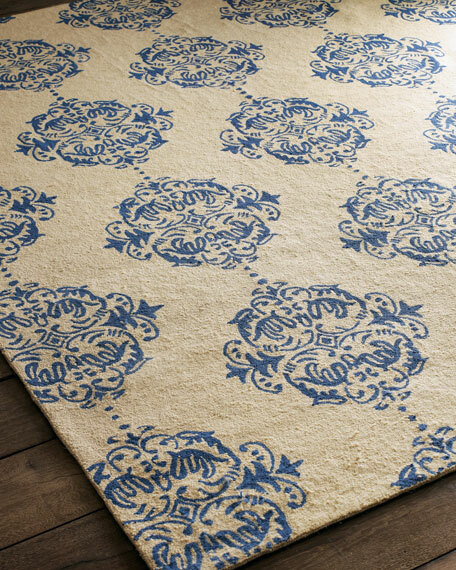 Safavieh Blue Medallions Rug, 3'9" x 5'9"